Why does it seem that Everybody is Trying to Lose Weight? Unfortunately weight loss is the most common reason for which people to start exercise programs. Unless you live in a cave you can see fast food, desserts and the huge portions at every restaurant. 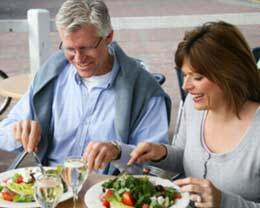 Combine our diets with our lack of activity in this age of high technology and you have the problem of a high percentage of overweight and obese people throughout the world. Since being in shape and fit is a sign of beauty many people feel uncomfortable carrying extra weight. It may take weeks, months or even years for people to finally look themselves in the mirror and make the decision to try to lose weight. It seems as if many people are constantly trying to lose weight with minimal success. The weight loss industry is lucrative and will try to take advantage of you. It succeeds every time you fail making more false claims and selling you bogus products. There is a huge amount of misinformation out there which will cause you to not lose weight and waste a lot of your hard earned money in the process. Here are some simple tips which will undoubtedly help you avoid the most common pitfalls that people trying to lose weight come across. The best way to lose weight is not the same for everyone. It is desirable for weight loss to be permanent and improve your health. Here are some methods touted by some as the best ways to lose weight. You will find that they are only good for a temporary solution at best and will do little or nothing for you in the long run. All in all, one of the best weight loss tips is to avoid the following. Diet pills are usually the fist thing people do when they want to lose weight fast. They usually promise quick results with little or no accompanying work. Diet pills come in drug and supplement form and are usually laced with addictive caffeine and other stimulants. 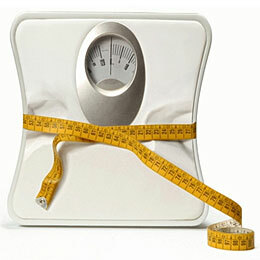 Some diet pills may work to help you lose weight temporarily, but no diet pill is going to help you keep the weight off. Fad diets which you see everywhere in the media are not the answer for long term weight loss. While some diets such as low carb diets will help you shed some initial pounds, they will not help you in the long term and possibly cause you to gain more weight back after you resume your normal eating habits. Fad diets lead to yo-yo dieting or repeatedly losing and gaining weight. Yo-yo dieting is known to slow your metabolism down and make it harder to keep your weight off and gain even more in the future. Relying on your scale weight is a very common mistake people make. While scale weight is important, there are a few other important factors which are superior ways to determine if you are truly making progress or not. 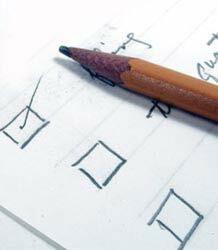 Proper assessments are very important because all weight loss is not good weight loss. If you are not burning fat and using your own lean body mass as fuel, a change in your exercise or nutrition program is needed. 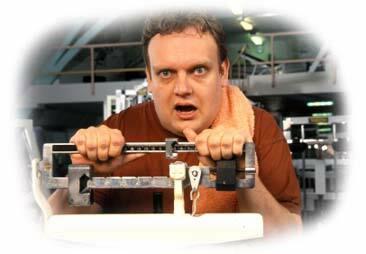 If you do not properly assess yourself at the outset of your exercise program you will be exercising blind. If you do not establish measurable, obtainable short-term goals before you start your weight loss program you may not be able to determine whether you are getting results or not. If you do not know whether or not you are getting the proper results there is no way to fine tune your exercise program. In this case you will most likely be exercising with no aim or direction. If you want to hit your target weight loss you need to perform cardio and weights in a complete workout routine which is consistent with your specific goals. Scale weight should not be the only known variable for your exercise program. While scale weight is easy to measure and important you should take more comprehensive measurements such as body fat percentage and circumferences. Finding your body fat percentage is very important and is very simple. You can do so by using a body fat scale or a very cheap, simple one site, skinfold caliper (right). Performance measurements at the beginning of your weight loss program are important as well. How many push-ups can you do? How fast can you run or walk a mile? Once you have a record of your current situation, then you can plan ahead and create a successful workout routine and weight loss nutrition plan. From this initial assessment you will be able to see exactly how well your weight loss program is working by reassessing your exercise program every month or so. In order to take the proper first step, you should set short and long term goals. Write them down and have them somewhere you can be reminded to keep you in check. Progression is very important for constantly achieving goals without plateau. If you create short-term goals you will be far more likely to keep up your results. Exercise is the stimulus which is needed to achieve significant goals. If you assess yourself properly, set obtainable goals and plan properly your exercise will help you lose weight along with a healthy diet. Learn how to lose weight properly in the least amount of time by exercising smart. Quality workouts will help you lose weight far more effectively than long drawn-out workouts which are blind to your goals. If you want the fastest results possible you can learn about exercises to lose weight quickly. If you follow the same diet which got you to your current weight, exercise may have little or no effects. Your nutrition, which includes all the food, fluids and substances you put in your body is just as important as your workout routine. Follow a smart nutrition plan. Trial and error will help you find which type of diet is best for you. Generally, a balanced diet which consists of healthy, natural foods and nutrient dense foods works best for lifetime fitness and fat burning. 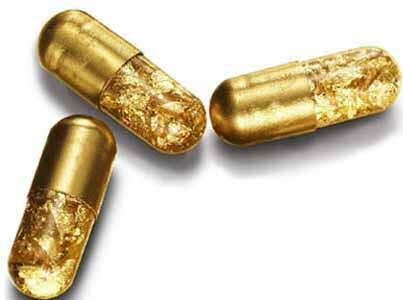 Supplements can have a bad rap because of all the “too good to be true” marketing. If you discount the idea that supplements are the “magic pill” which can help you lose weight fast they can be an integral part of your weight loss program and a healthy lifestyle. Even with the perfect diet you are unlikely to get all the essential vitamins and minerals you need on a daily basis. This is especially the case if you are taking part in a workout program and not sitting on the couch for all of your spare time. Do not expect to lose the weight you put on over the course of 10 years in a couple of months. With regards to long-term weight loss, “a slow and steady pace, wins the race.” Slow and steady weight loss means you will be losing primarily fat and maintaining your lean body mass. Realize that if you are not trained and start an exercise program complete with lifting weights and cardio you will most likely not start losing significant weight until after the first month of training where your body starts to neurologically adapt. Make it your goal to lose weight healthily by burning fat and maintaining your lean muscle. Next? Be patient and keep working towards your goals! Mike Behnken is a personal trainer who holds multiple NASM certifications and a MS in Exercise Science. Mike loves fitness, travel, and photography among many other interests.